Researchers representing universities and institutions from across the nation and around the world recently participated in the ALCF’s Mira Performance Boot Camp held May 21-24 at Argonne National Laboratory. For many, the primary goal of attending was to tap into the expertise of ALCF staff for assistance in improving their code’s scalability to demonstrate computational readiness for a 2014 INCITE award . In support of this goal, the ALCF’s annual scaling workshop is especially geared for and timed to coincide with efforts of teams preparing INCITE proposals. The INCITE Program is the primary mechanism through which the majority of available compute hours at the DOE leadership computing facilities are allocated to researchers at work on breakthrough science and engineering. Proposals for INCITE awards are due June 28 this year for allocations available beginning January 1, 2014. Formerly knows as the Leap to Petascale workshop, the ALCF holds this computational readiness event annually in May. 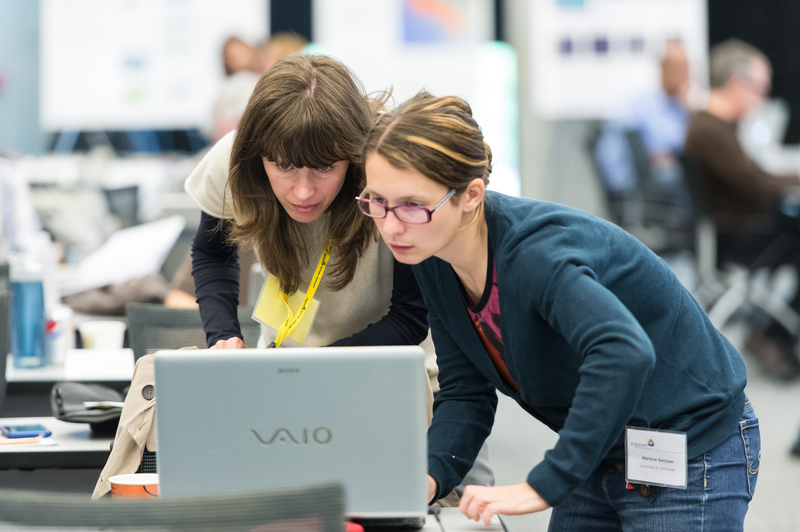 The bulk of the four-day event was devoted to hands-on, one-on-one tuning of applications. ALCF experts also presented talks on topics of interest, including an overview of Blue Gene/Q hardware and software architecture, manual code-tuning tips for peak performance, submission of ensemble jobs, and message-passing API on Blue Gene/Q. Tools and debugger developers were on hand to provide information about their tools and individualized assistance to attendees. More than 30 system users participated in this year’s event, with codes representing a diverse range of scientific fields, including physics and computational condensed matter; materials science; atomic, molecular and optical physics; computer science and mathematics; earth sciences, biological sciences, engineering, astrophysics, and nuclear physics. A dedicated Boot Camp reservation queue gave attendees quick, uninterrupted access to the system. Over the course of the event, attendees used over 15 million core hours; and several accomplished sizeable runs, including runs that scaled to the entire 48-rack system. Moreover, Argonne staff and industry representatives applied their combined skills and expertise to facilitate significant improvements to the attendees’ codes and to make many of these enhancements available to the broader Mira user community. Several research groups who had been unable to scale to the full system previously accomplished this goal during the Boot Camp. Many users worked to develop effective and efficient parallel I/O strategies for large-scale runs of their applications. Several drew upon assistance from on-hand industry representatives and ALCF staff to address bottlenecks and bugs to improve application performance. Researchers at the annual ALCF Mira Performance Boot Camp work on scaling their applications in preparation for INCITE proposals.